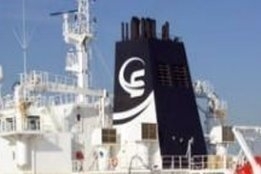 Scorpio Tankers has indicated its scrubber retrofit program will net annual savings of some $100 million or more. The numbers were revealed in an update to its investor presentation delivered to STIFEL today ahead of the Thursday release of its fourth quarter 2018 earnings. It marks the first time the firm has put a dollar value on the expected payback form its extensive scrubber programme announced last year. Based on spread of $200/mt to $250/mt between HSFO and low-sulfur fuel the vessels would otherwise have to burn to comply with with the upcoming IMO2020 rule, Scorpio projects annual savings of $908,400 to $1,135,500 for its MR tankers, $1,017,450 to $1,271,813 for LR1’s, and $1,220,940 to $1,526,175 for its LR2s. This compares to the expected cost of the hybrid-ready, open-loop type scrubbers of between $1.5M and $2.5M per vessel including installation. Looking at how that translates to savings across its entire fleet, with 62 vessels (25 MR, 7 LR1, 30 LR2) scheduled to have scrubbers installed by the end of 2019, the tanker owners will hit the start of the IMO2020 rule with projected annualized bunker savings of between $66.5M and $83.0M. But with more retrofits to come, the annualized fleet-wide savings expectation grows to $99.5M and 124.4M when installation is complete on all the target 95 vessels. Not highlighted by Scorpio is the fact some are predicting the spread for compliant low-sulfur fuel will be much lower, and based on the numbers presented a spread of $100/mt would mean eventual fleet-wide savings of $50M/year. Conversely, if as some analysts believe the predictions of a $400/mt spread hold true, it would put their fleet-wide savings at $200M/year. Scorpio is fitting hybrid-ready, open-loop type scrubbers, the type affected by recent bans announced by Singapore and Fujairah. With some scrubber sceptics painting to recent bans on open-loop scrubbing as potentially denting the economics of the technology, scorpio said its numbers were based on 2018 consumption and assumes scrubbers do no operate during any port activities or in ECA waters. “Scrubbers manage the downside risk of rising fuel costs and provide upside potential through fuel savings,” says Scorpio. At the same time, the presentation echos the concern of many around compatibility issues with the new fuels. "There is not currently a globally accepted refining method for producing 0.5% sulfur fuel, which may lead to complications," says Scorpio. "Blends may contain straight run and/or cracked distillate/residue material, increasing the potential for stability and compatibility issues." Meanwhile, several developments could see further gains for the commodity. Between October 2017 and May 2018. However, whether prices remain bullish is unclear.